In 2002, not yet a year after the historic atrocity in which fanatical suicide volunteers killed 3,000 Americans, the Bush administration began urging an invasion of Iraq. Elderly West Virginia senator Robert Byrd was incensed. He saw the proposed war as unnecessary, pointless, ruinous. He began writing and delivering eloquent Senate speeches against the invasion. He said there was no real evidence of horror weapons in Iraq, despite White House claims. He said Iraq had no connection to the 9/11 attack. Byrd said America shouldn't invade a nation that did nothing to provoke it, just on suspicion. Amid the patriotic fervor of that time, the national press corps ignored Byrd's alarms. Television news and wire services didn't cover them. Our West Virginia newspaper did, but few paid attention. Byrd was the proverbial lost voice in the wilderness. Then an amazing thing happened. That global marvel, the Internet, took command. War opponents began e-mailing Byrd's speeches to friends, who forwarded them to others. Before long, they had spread to thousands of Americans, plus more thousands overseas. His words blanketed the planet, spontaneously, spread by avid readers. They were posted on many Web sites for everyone to read. Byrd became an international hero to war-questioners. Our newspaper named him West Virginian of the Year for 2002. His speeches were assembled into a book: Losing America: Confronting a Reckless and Arrogant Presidency. Byrd died in 2010 -- widely respected, because his Iraq warning had proven accurate. There's a lesson here for every writer (not a politics lesson, but one regarding how to deliver your words to the world). It's a new ball game. The Internet is the mother of all outlets. Editors (like me) still decide what is printed on paper and broadcast on airwaves, but we don't control the wide-open, gigantic, all-reaching, worldwide conduit in Cyber Land. Traditional channels of information still exist, perhaps still dominate, but they aren't the only route. A brand-new way for writers to find multitudes of readers is available at the click of a mouse. My private writing is mostly in the skeptic-agnostic-freethought-doubter-anticlerical zone. When I hatch a new essay, I offer it first to specialty magazines in that field: Free Inquiry (where I'm a senior editor), Freethought Today, Skeptic, The Humanist, American Atheist, Secular World, The Freethinker, Secular Humanist Bulletin, UU World, International Humanist News, etc. If none accepts it, I turn to a huge array of Web sites pushing the same mission. It's almost effortless -- just hit "send," no postage required. I e-mail it to fifty, eighty or more. (There are so many I can't count them.) Numerous sites post my pieces, then other sites post "mirror" copies. My last article, on the rapid rise of Americans who don't attend church, appeared in nearly a hundred Web sites, plus a couple of printed magazines. My latest, on the baffling enigma of zealots who kill themselves to commit mass murder, has spread to more than thirty sites so far. The essays draw comments, and readers send them to friends via "social networking." The Internet contains hundreds of "online communities." In addition to skeptic sites, there are others for every imaginable interest: parakeet-lovers, human rights crusaders, backpackers, antique car buffs, Latvian-Americans, chess fiends, feminists, cigar aficionados, ex-convicts, Renaissance troubadour experts, spelunkers, the deaf, Pentecostal church members, gays, muzzle-loader gun shooters, archeology fans, poetry-lovers, families of murder victims, skydivers -- you name it. Whatever your focus in writing, a ready-made outlet awaits. If magazine or book editors don't want your work, just fling it into the brave new digital realm. Search for sites that address your topic, then click the "contact" spot, and offer it to the world. In doing so, you escape the insolence of office, the arrogance of print-on-paper editors who never answer your inquiries or demand endless rewrites. I'm chiefly absorbed in the nonfiction marketplace of ideas: the eternal tussle of beliefs, ideologies, social causes, worldviews. But the Internet offers just as many opportunities for fiction and feature writers. Hundreds of short story and poetry sites exist, along with all those topical groups -- all awaiting submissions. Moliere said: "Writing is like prostitution. First you do it for the love of it, then you do it for a few friends, and finally you do it for money." If you limit yourself to stages one and two, forgoing stage three, the Internet will let you reach multitudes, multitudes. 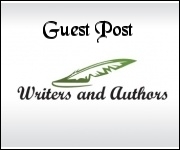 Guest post By James A. Haught. Haught is editor of The Charleston Gazette in West Virginia. He has won 20 national newswriting awards and is listed in Who's Who in America and Contemporary Authors. He can be reached by e-mail at haught@wvgazette.com, by phone at 304-348-5199 and by fax at 304-348-1233. His Web site is http://www.wvinter.net/~haught.